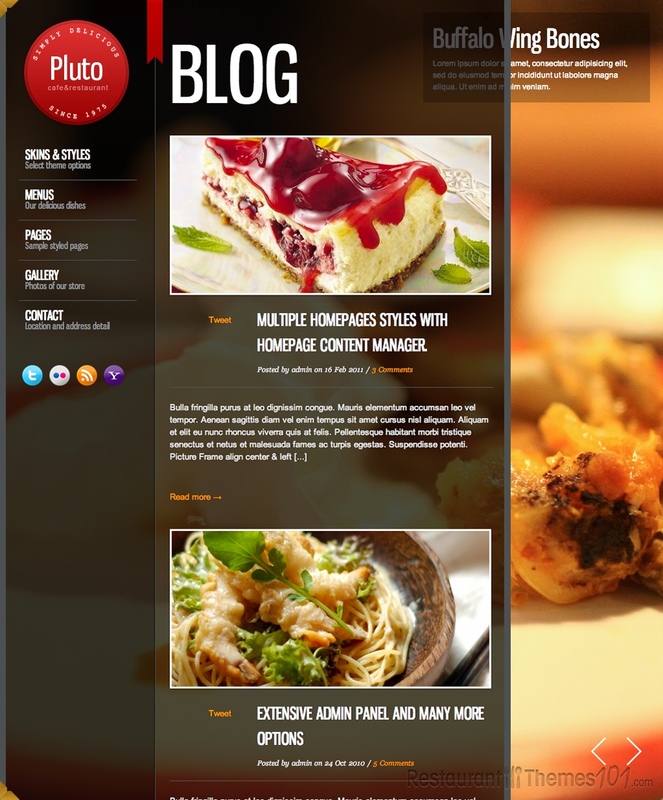 Pluto is a WordPress restaurant theme created by Peerapong and presented on ThemeForest. The theme has a nice, attractive layout that is pretty much outside the box. If you want a theme that differs from other, this might be the right choice for you. The theme has 3 skins you can choose from: transparent, light or dark. It has a drag & drop homepage content manager which allows you to control and order the content you want to show on your homepage. 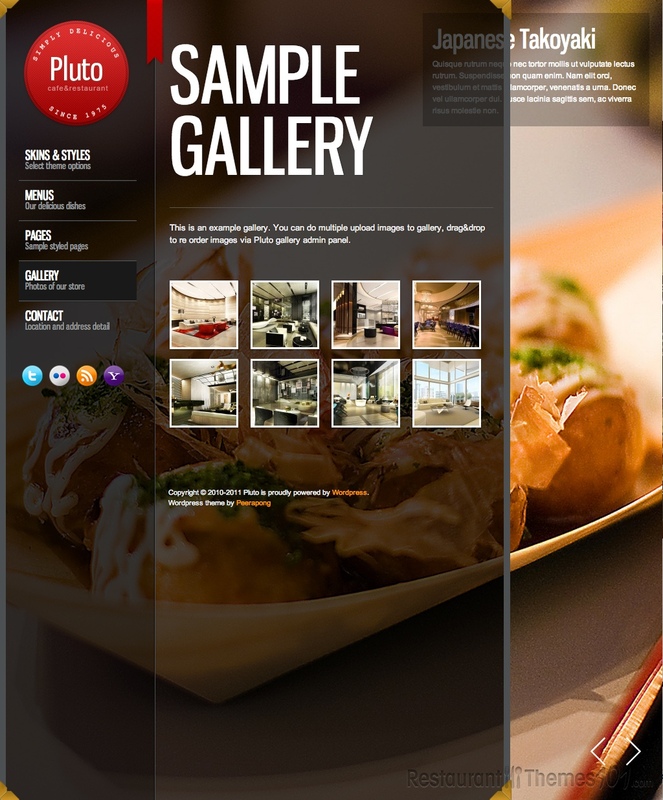 The image gallery featured is full screen, which is a very nice way of showcasing your dishes. The theme also features a template and post type for the photo gallery. You can choose out of 7 different slideshow effects and the whole page content shows in a slide out section next to the menu. 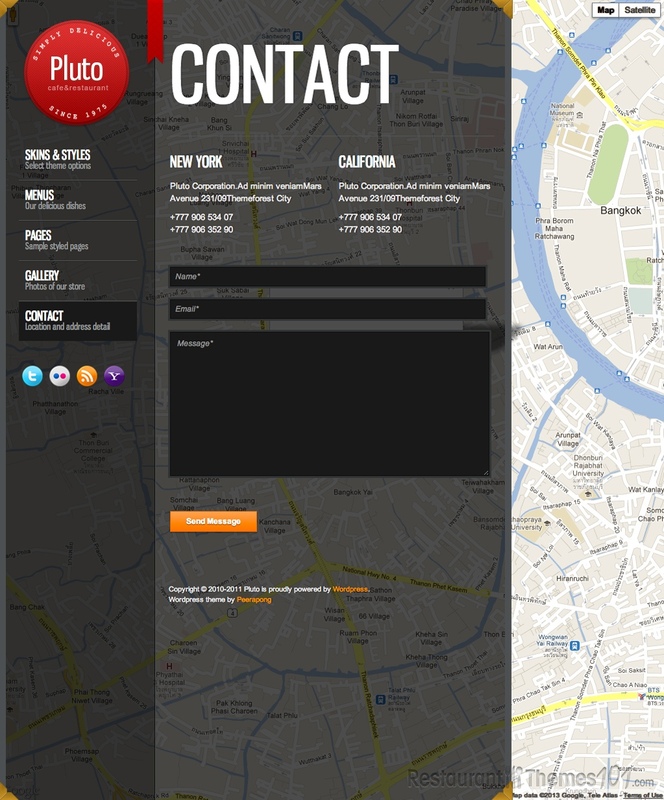 The contact page is very interesting and you will have the option to show the contact form and Google Maps in full screen. The option panel of this theme is very powerful and it will allow you to adjust various theme settings to your liking. It is very easy to customize this theme and you don’t have to be a professional to do it. 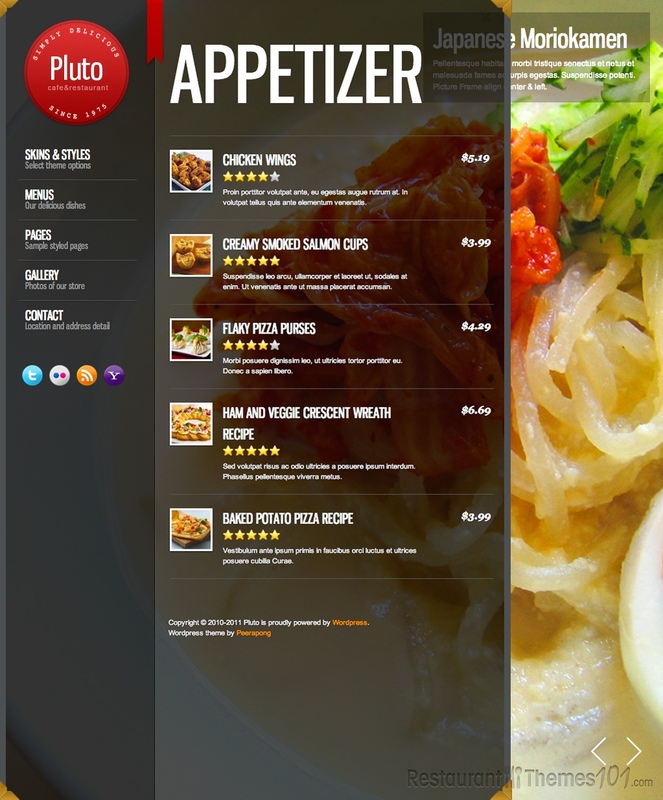 Creating an online menu is very easy; you can display everything you need to, including prices, photos and descriptions. The custom post types will allow you to make content management very straightforward. Pluto has a great localization and it is ready to be translated to any language. Social networks integration is a must have, and this theme has it covered in a very good, professional way. 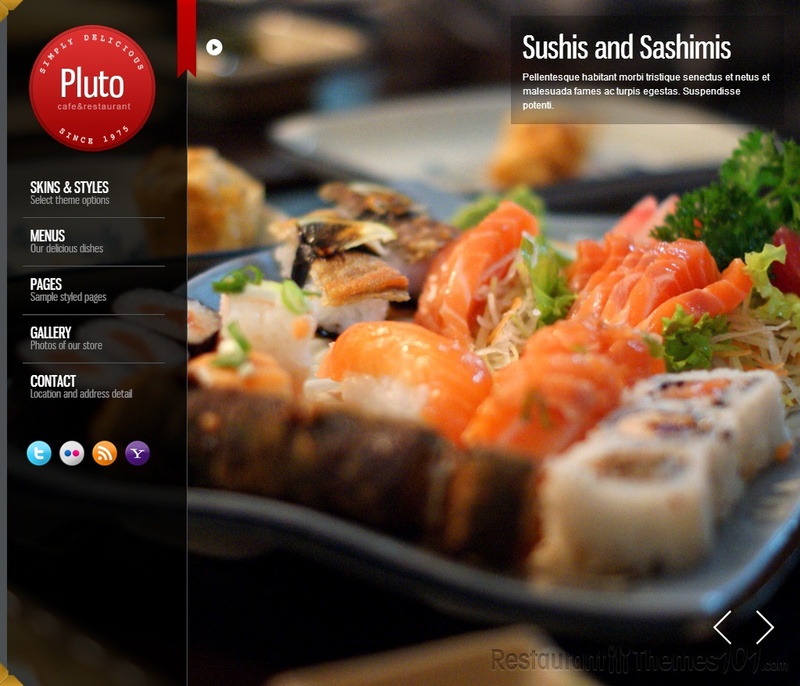 Pluto is a great theme if you want your website to be different, bold and attractive. 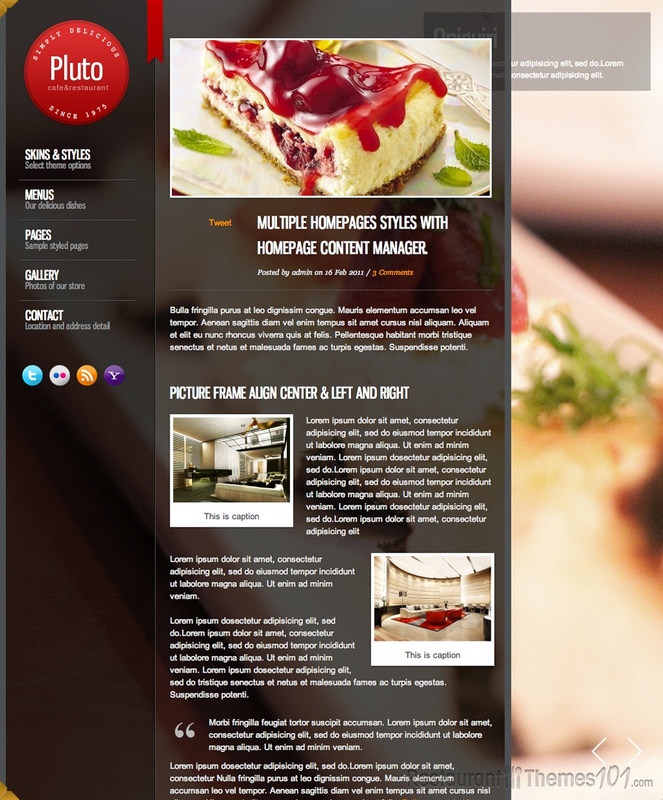 A great website that stands out is exactly what a good restaurant needs so it can attract more potential clients s this theme is a very good choice if you want to present your business online in a modern, different way.